rarity in numbers or are threatened by changing environmental and regulation parameters. Editors Note: We asked Brad Marchand if he wanted to guest blog for this post with the success of his online diary, but we never heard back from him. Hip checks can be a beautiful thing. They can also be a very dangerous thing. Hip checks occur when a player drops to a near crouching stance and positions their hips toward an oncoming player. 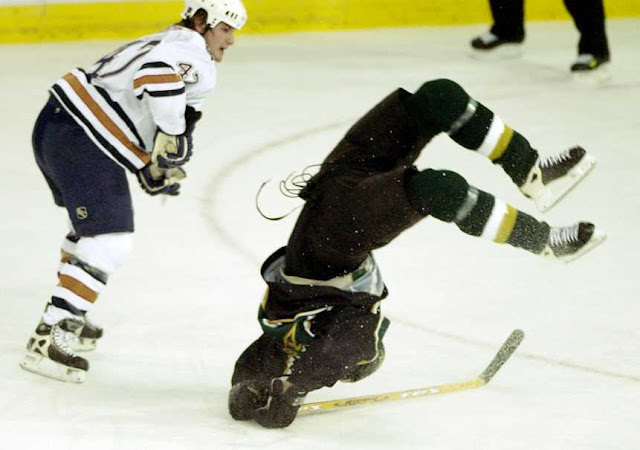 This collision results in sending the opponent over top, occasionally in a somersault as they tumble to the ice. Players can land safely as if they've simply dived over an opponents back, or they can land on their backs, shoulders, or heads. These can be done in open ice, but are best along the boards where an opponent can't run out of bounds. While you will see hip checks in the NHL, they may be viewed as a low-risk-reward play because of how easily they can take you out of the play if a hit is missed (or if you're Carlo Coliacovo you miss the rest of the season). The timing has to be spot on or else you look like a fool and get chewed out by your coach - if you play NHL 12, you know how easy this is. The positioning also has to be perfect as if you go too low and hit at or below the knees, it will result in a clipping penalty. However, when a hip check is successful there is a very good chance you will see it on the highlight reels. Hip checks will always be in the game, but with the NHL cracking down on dangerous hits and players faster than ever, it's difficult to execute a clean hit, or make the hit without it being deemed clipping. While not critically endangered like the two-pad stack, hip checks have vulnerable status due to unknown nature of rules and interpretation. Here are some great hip checks mixed with some very illegal clips. 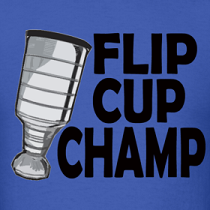 You still hip checks along the boards but guys don't really go up the middle anymore like they did back in the 80's. With concussions players just aren't putting themselves in those positions to get hurt. you never forget you're first hip check!